Beatles fans as well as pop music enthusiasts will enjoy this fond look back at Martin's impressive career and personal life. Who was the “Fifth Beatle”? One of the strongest arguments favors George Martin, the producer who tirelessly experimented with various sound techniques and helped the group realize their creative visions. 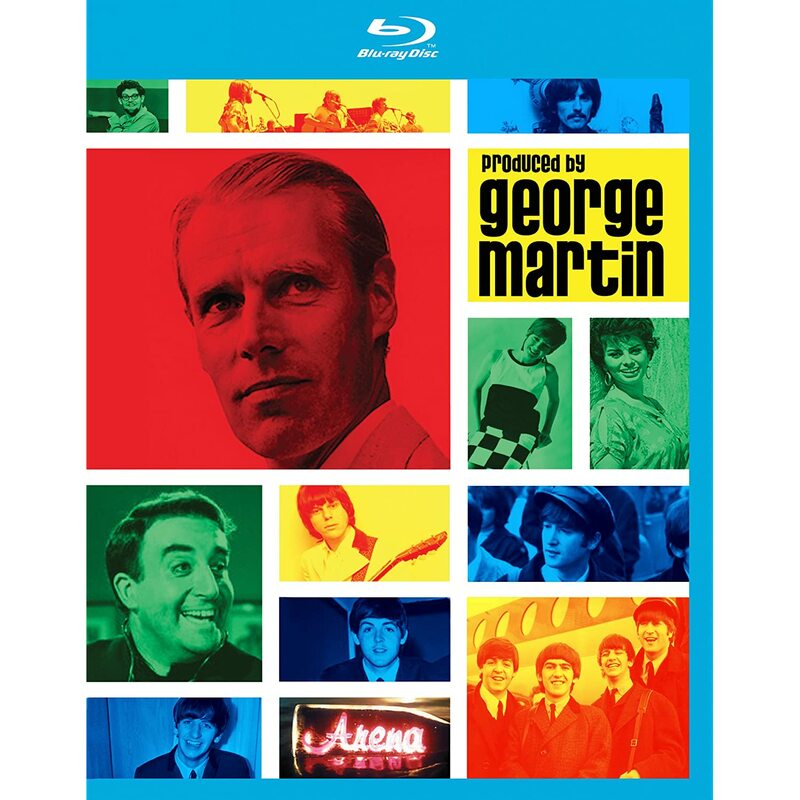 Now in his mid-eighties, Martin is celebrated in the documentary Produced by George Martin, a film first aired by the BBC in 2011 and is now available in the U.S. Beatles fans as well as pop music enthusiasts will enjoy this fond look back at Martin's impressive career and personal life. “Being for the Benefit of Mr. Kite,” and “Tomorrow Never Knows” set the standard for future rock music. Who else could successfully translate Lennon's requests that he wanted to “smell the sawdust” on “Mr. Kite” or hear 100 chanting monks on “Tomorrow Never Knows”? After the Beatles' breakup, Martin continued working with artists such as America and McCartney, and built Air Studios, a state-of-the-art recording facility in Montserrat. After its 1979 opening, musicians such as McCartney, Stevie Wonder, Peter Gabriel, and the Police all recorded singles and albums there (in fact, the Police video for “Every Little Thing She Does Is Magic” was filmed in and around the AIR facility). Unfortunately Hurricane Hugo destroyed the building in 1989, forcing Martin to permanently close the facility. Martin and his wife, Judy, visit the site during the documentary; the pained expression on his face shows how much the devastating loss affected him. Produced by George Martin contains an undercurrent of sadness, namely Martin's hearing loss. Years of hearing deterioration forced his retirement from the music business—in fact, he says, he cannot listen to music anymore, as some sounds actually hurt his ears. Due to this limitation, he teamed with his producer son Giles for his last project, the 2006 soundtrack for the Cirque du Soleil show Love. Discussions with the two of them reveal their loving, if somewhat competitive, relationship. Overall, Produced by George Martin reveals that the Beatles were just one of many highlights in his storied career. It paints a picture of a contented gentleman making the most of his life despite the hearing loss. Anyone looking for an objective portrait may be disappointed by this documentary—Martin is listed as one of the film's producers, so it includes only positive memories and anecdotes about the man. But Beatles fans as well as those wanting to learn more about Martin's contributions to music will find this life and career overview enlightening. Bonus features include extended interviews with Jimmy Webb and Ken Scott, and an often fun discussion with Martin and Palin, an avowed fan of his comedy recordings.